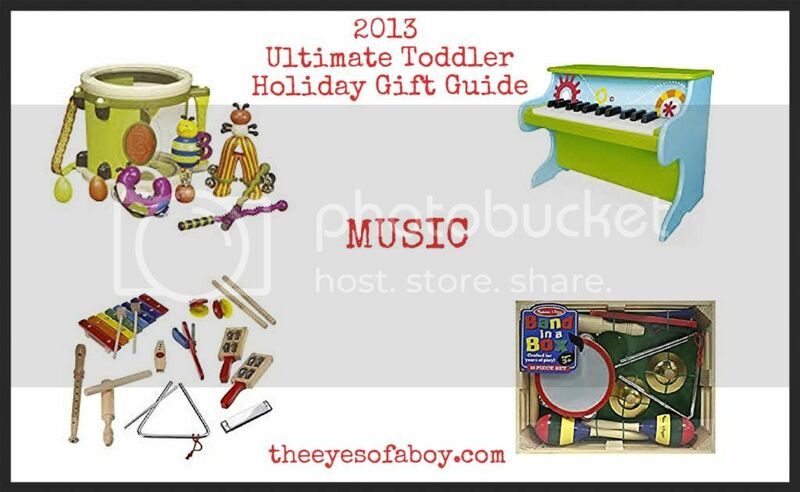 Thanks for stopping by to check out my 2013 Ultimate Toddler Holiday Gift Guide! This post contains affiliate links to help you find and purchase the products listed. This list was designed with children of toddler age (over 1 year to around 3 years old) for both boys and girls. 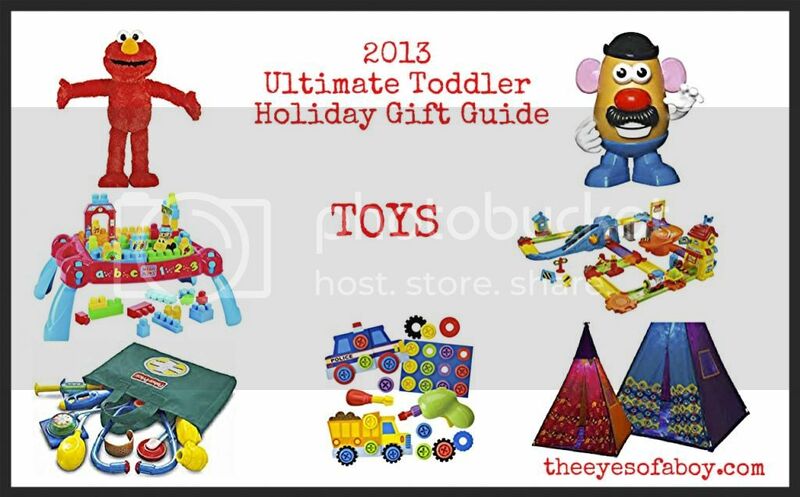 It is broken down by categories: Toys, Music, On the Move, Pretend Play, Art, Melissa & Doug Faves, and Personalized Gifts. 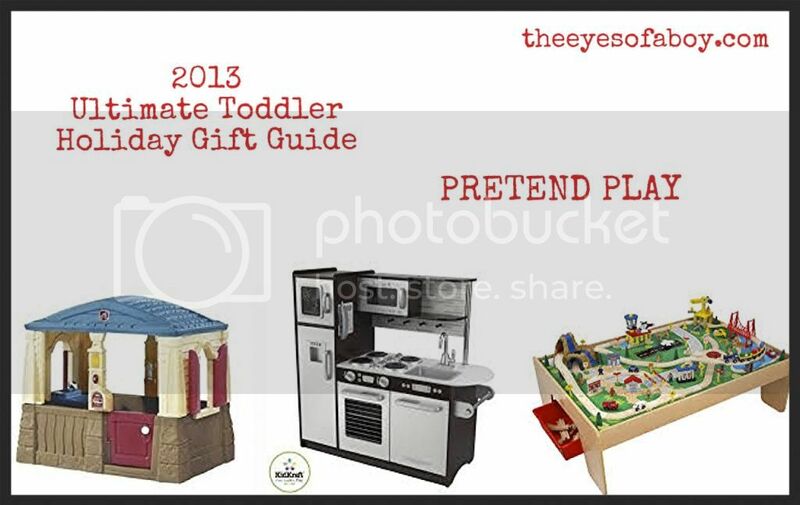 I hope you enjoy my list and find it to be helpful with your holiday shopping! If so, please share 🙂 Thanks! There are so many new toys available for kids right now, and these are a few of our favorites. 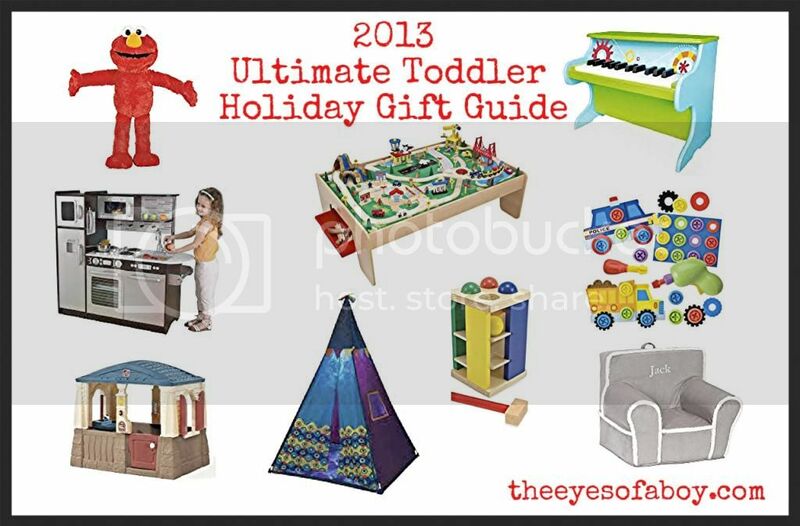 Playskool Sesame Street Big Hugs Elmo is one the hottest toys for the season. This Elmo is a big child-sized Elmo, that actually talks and hugs your child! Sure to be a favorite for years to come! Mr. Potato Head is an old classic, but can actually be quite useful with helping your toddler learn the facial anatomy. Definitely a great purchase! Fisher Price Medical Kit because what child doesn’t love pretending to be a doctor?! Also, this can help make your toddler more comfortable with going to their own doctor for a check-up. Alex Toys Early Learning Twist & Drill this is a great toy to help sharpen motor skills and coordination. 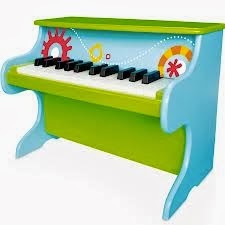 The brightly colored pieces will make it very attractive for little hands to want to play with! B Toys TeePee Tent The first time I saw this TeePee Tent I knew we had to have it! It is so cool! It’s a toddler sized tent and even has a real, working light inside! How cool is that?! Megabloks Play ‘n Go Table blocks are always a great gift…can’t go wrong with blocks, and this set has a table to build on, too! VTech Go! Go! Smart Wheels Train Station I love this Go! Go! Smart Wheels series from VTech. You can buy extra vehicles for it, and can connect other sets to it, too! 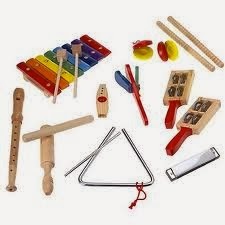 We have all of the musical toys listed below, and love all of them…and they are used daily in our home! I am a big fan of anything that gets kids moving, outside, off the couch, etc. it’s a wagon…enough said! Every kid needs a wagon! My love of Joovy is no secret. 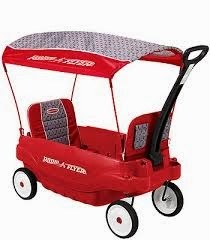 This trike is adorable, and helps little feet learn how to ride with the help of an adult pushing the handle. Then, when they’re ready, the handle comes off for independent riding. 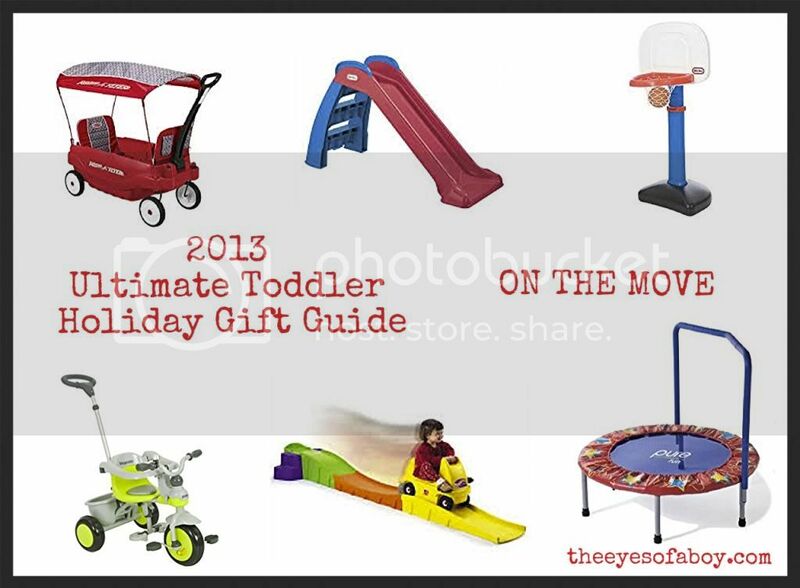 Great for gross motor skills…and just because shooting hoops is awesome! We have the Step 2 Roller Coaster and it is SO much fun!! Little J cannot get enough of it. 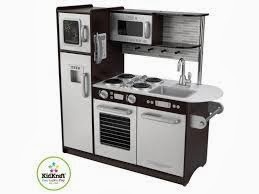 I like this kitchen because it looks just like the real thing! Great for us, because Little J pulls “real” pots and pans out of the cabinets daily, and this one may just be the cure! 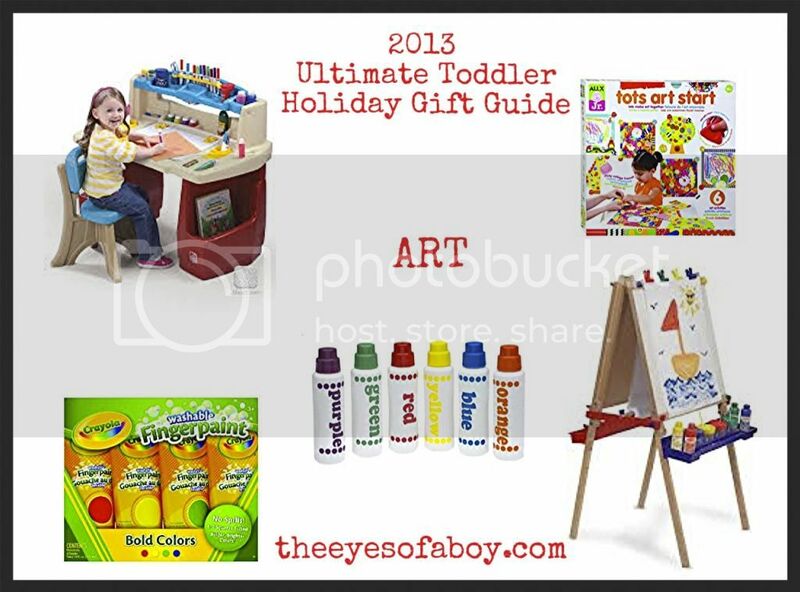 Bring out your child’s inner Picasso with these great gifts!! This looks like a great place for a creative little mind. I love the storage and desk space. So cute. We absolutely adore our easel! We use it a lot, and it has so many different uses. A must have! 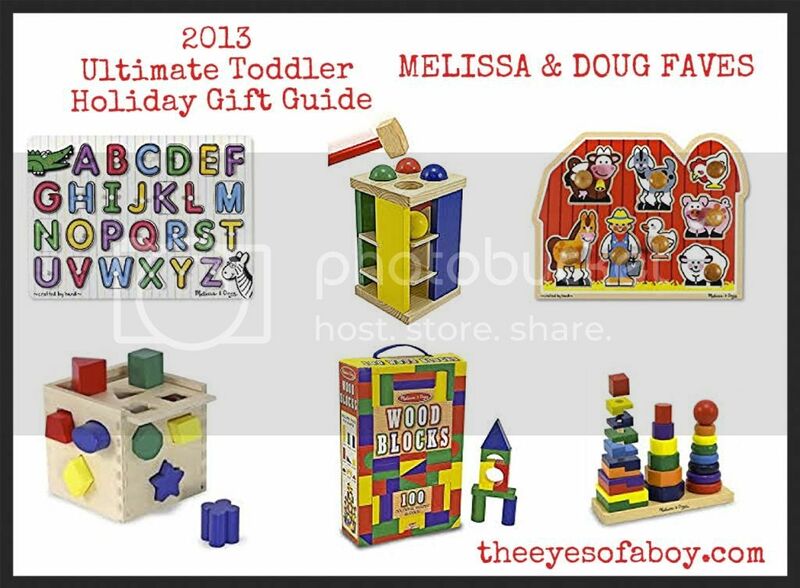 Melissa & Doug toys are awesome for learning and motor skills. I have selected some of my favorites to share with you. A personalized gift is always thoughtful and is something with a special extra touch. 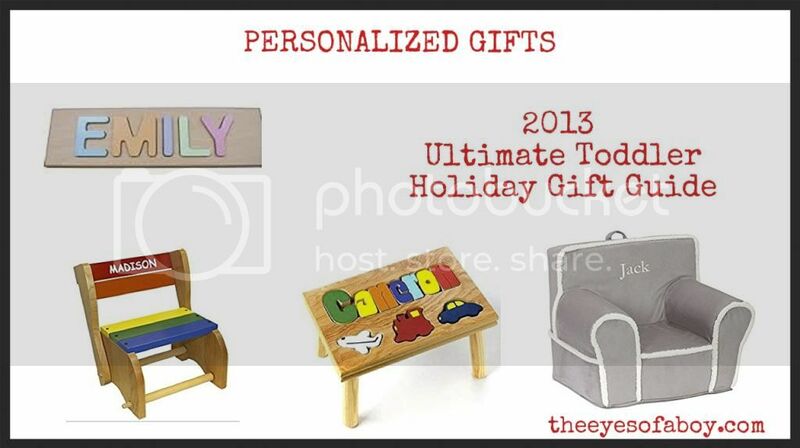 These are some of the best personalized toddler gifts I have come across. Have you heard of Citrus Lane? Consider giving your child a surprise every month with the awesome gift of Citrus Lane! It is a special box personalized for your child’s age and gender, packed full of the hottest new kid’s products available! Click the icon below for more information. I hope you enjoyed our list! 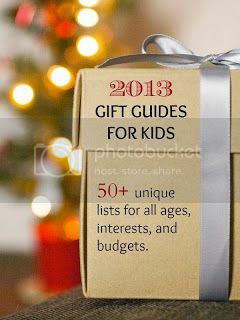 I am participating in a large group of bloggers who have collaborated to bring you a big round-up of 50+ kids gift guides. Thank you! I hope it is helpful to you during this holiday season.